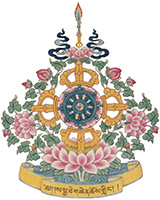 The purpose of the Dharma Discussion Group is to provide an informal open forum for Buddhist practitioners, students or people interested in the Buddhist path to come and ask questions and/or discuss any and all aspects of Buddhist philosophy and practice in general and Tibetan Buddhist practice in particular. What is this all about? What are the options for practice? What are my commitments? What is important and what is not? People can ask questions, express concerns, personal or general and connect with other practitioners. Everyone is welcome to come and participate in whatever way they wish. Ken Hockett is one of the senior Dharma students at Sakya. After much reading and study, he took refuge before H.H. Jigdal Dagchen Sakya in 1977. His principal interest is in the Mind Training methods and has been teaching these at Sakya Monastery for over 10 years. Having received teachings and initiations from Lamas of all four schools of Tibetan Buddhism, his main teachers are of the Sakya and Nyingma traditions. He has also produced many of the practice texts used at Sakya Monastery.